Malicorne was a French electric folk group that flourished in the 1970s. 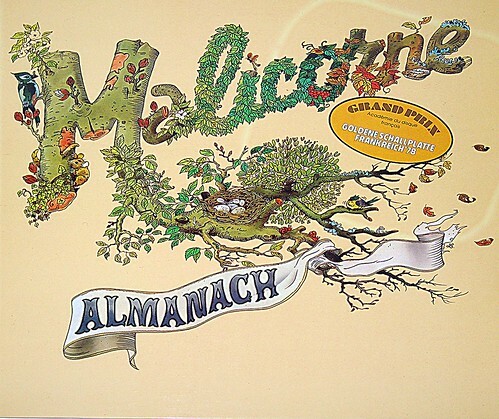 “Almanach” is an album by Malicorne. As before, it has a complex sound. The arrival of Hughes de Courson has given the album a more classical feel. It was recorded and released in 1976. This entry was posted in Prog Rock and tagged Malicorne on January 11, 2019 by vinylmeister.